Hey guys! I can’t believe it’s already Thursday! This week has flown by thanks to the three day weekend last week. We’re heading up north tomorrow for a wedding and the cooler temps have me so excited for fall! Give me all the layers! And plaid! And scarves! And boots! Oh my! It’ll be another month or so before it really starts to cool down in Arizona, so I like to wear transitional fall outfits in the meantime. 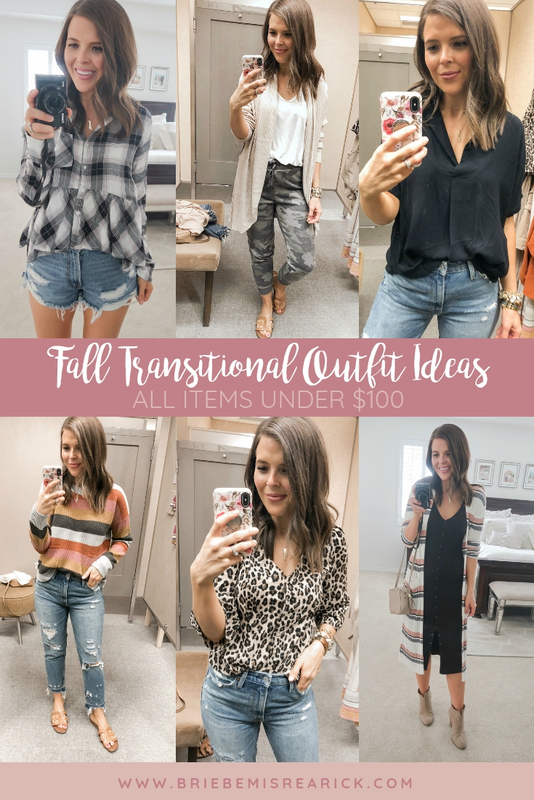 I rounded up a few of my favorite transitional fall outfits below in case you’re needing any inspiration! How cute are these camo joggers? They’re so comfy and perfect for lounging and running errands. I love how they look paired with a neutral cardigan and a pair of sneakers. Gimme all the leopard! 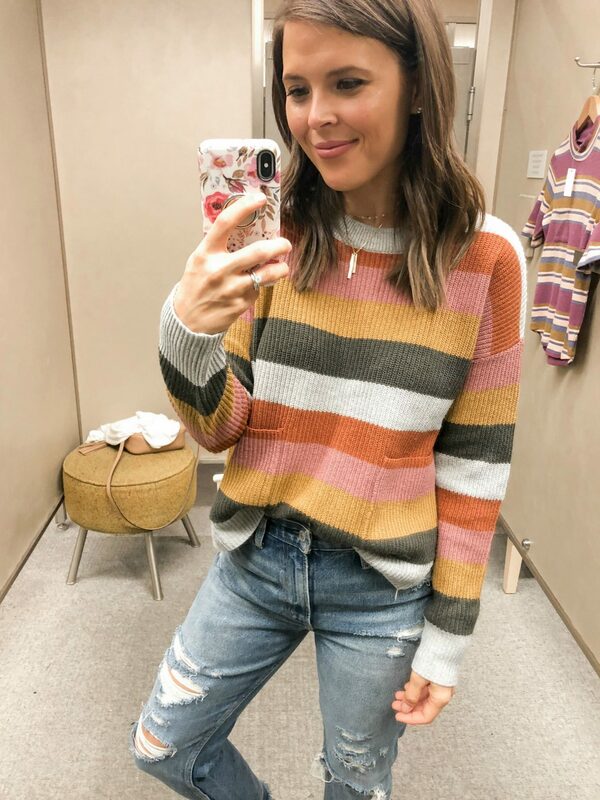 It’s definitely very in for fall this year and there are so many cute pieces out right now! I absolutely love the print and fit of this top which is just under $50. I’m so glad I tried it on because it’s not something I loved when I saw it online but my mind quickly changed when I tried it on! This dress is my new favorite! It is SO flattering and I know I’ll be wearing it year round. Also, how cute is this cardigan? 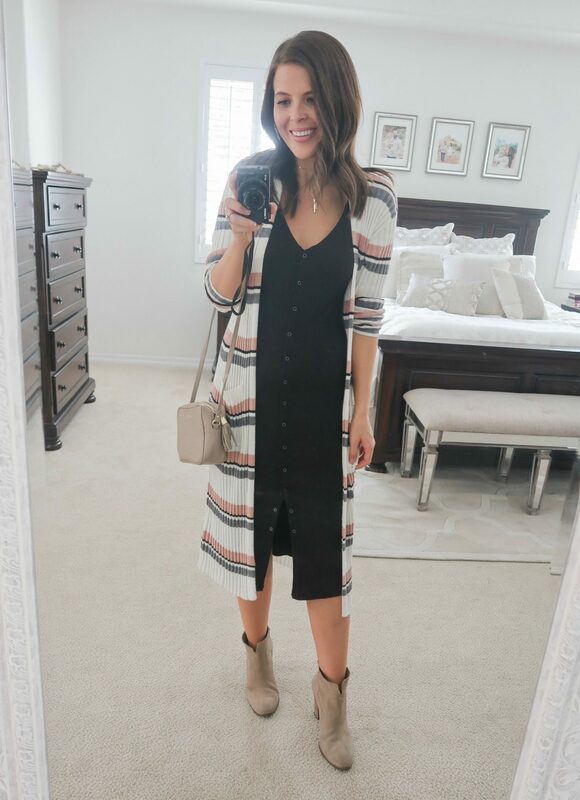 I love the neutral stripes because it can be worn with so many different colors! 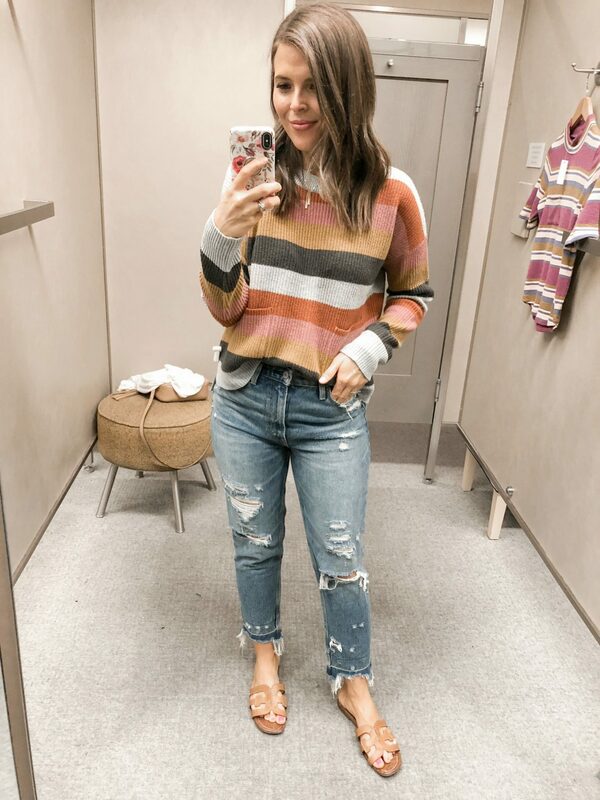 I’m definitely going to need this top in all three colors! I just love the style of it and the button back, plus it looks really cute layered since it has a collar. It’s one of those pieces I’ll be constantly reaching for whenever I feel like I have nothing to wear. Peplum and plaid? Yes please! 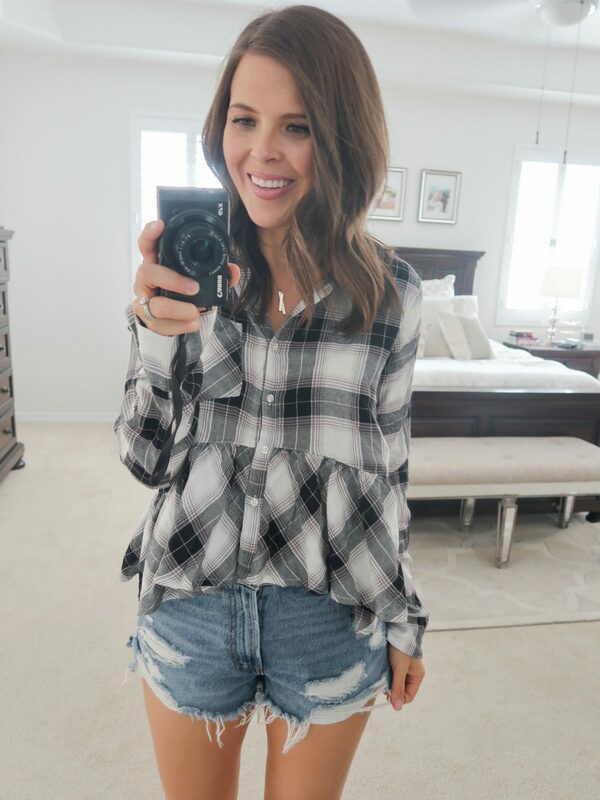 I love the neutral colors of this plaid top and already busted it out to wear with my denim shorts. Denim shorts + your favorite fall top & booties is such an easy and cute transitional outfit idea! Next Post 2018: Our Year in Review + An Exciting Update! So many great looks. It’s so crazy that fall in almost here.